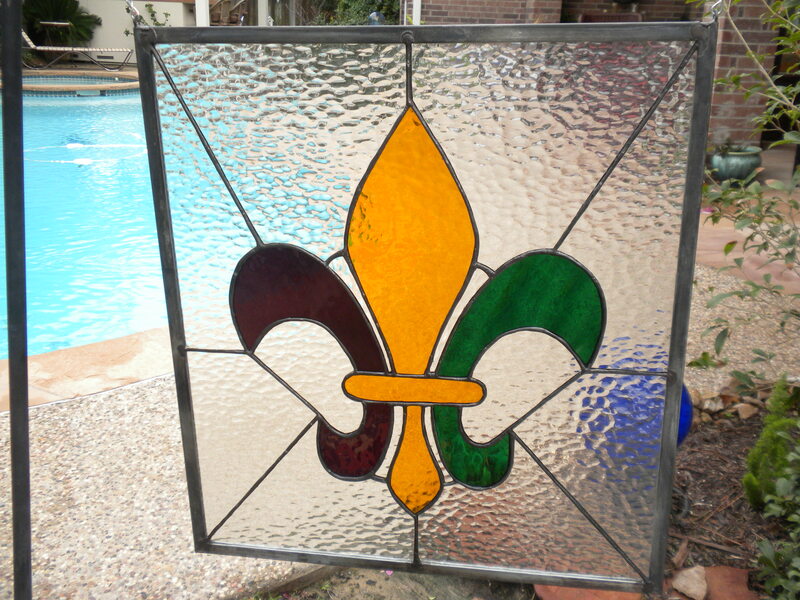 Beautiful Fleur de Lis Stained Glass Piece. 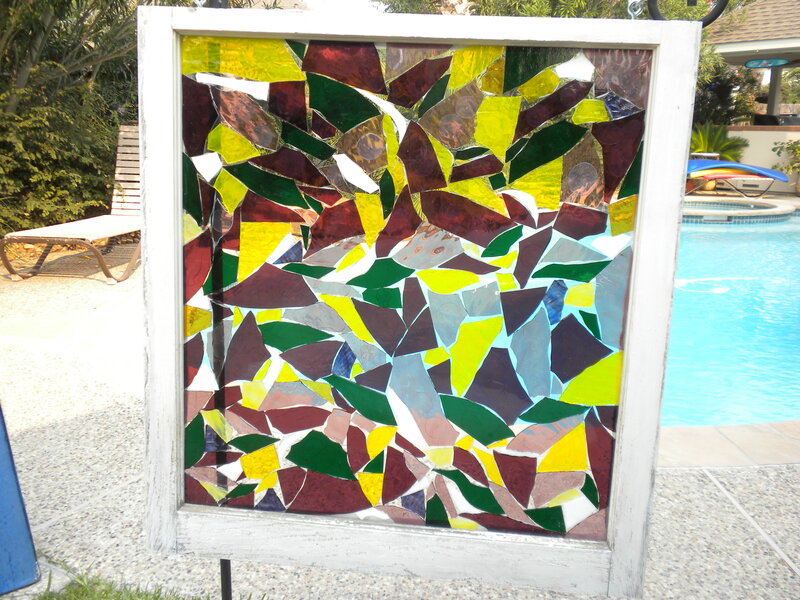 Colors are gold, green & purple with hammered clear background glass. Beautiful in any window!!! Approximately 18″ x 19=1/2″. For more information p lease call (713) 899-0933. Antique window with stained glass applied. Measures approximately 28″ x 30″. Great to hang in front of a window inside or out on your patio to get the beautiful colors as the sun hits it. Sells for $145. Call 713 899 0933 for more information. 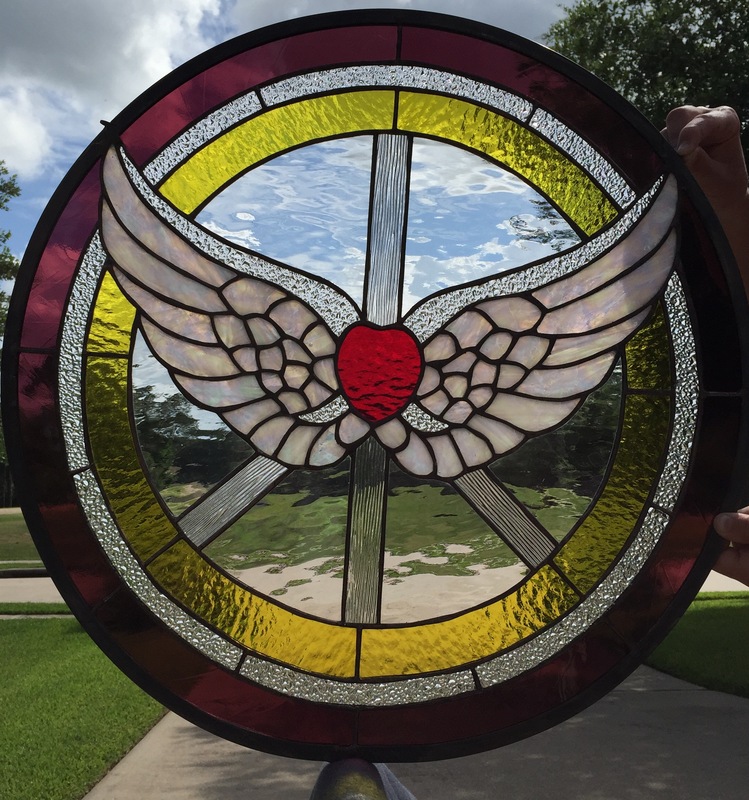 If you have an old window that is sentimental to you that you would like made into a piece of art just give me a call and we can get started!! !